I found that out long ago. You reckon Colin Craig and Rachel MacGregor could resolve things with a hug? Nup. Good point. That seems to be where their problems arose. Pete Hodgson from Callahan Innovation repeating the myth that requests under the OIA only need replied to within 20 days (the "legal limit", in his terms). Not what the Act says … "as soon as reasonably practicable"! Is it a myth that they need to be replied to within 20 days? Or do they need to be replied to within 20 days? It’s a myth that they need to be replied to with 20 days. They need to be replied to as soon as possible. They MUST be replied to within 20 days. Ah, ‘I see’ said the blind man, they need to be replied to within 20 days, they should be replied to in 20 days and in fact they must be replied to in 20 days. Andrew Geddis is suggesting that Pete Hodgson is ignorant of the Act and implies Hodgson thinks that automatically requests come in they have 20 days to furnish the information. Being interviewed this morning Hodgson said on occasion, given the complexity of the task, extensions to the time was taken. The Taxpayers’ Union will be on the top of Mt Victoria trumpeting their great success in saving taxpayers’ money. According to Hodgson, Callaghan Innovation spent just over $103,000 dealing with the ‘blizzard’ of requests. Mmmm. 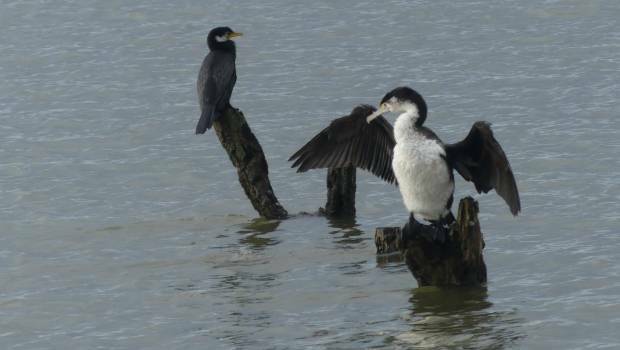 The shag received 310 “dubious” votes from an IP address in Australia for the Bird of the Year competition. The NZ First MP behind a “values” bill which could expel migrants was once judged unfit to run pubs because of his criminal record. Clayton Mitchell wants new migrants to sign up to a cultural “code of conduct” that includes a commitment not to campaign against the legality of alcohol. Except for the attention he got last week all I know about Clayton Mitchell is what’s been in the news today. He comes across as an idiot. I can see the idea of only wanting civilised people to be welcomed into the country. The notions and nuances of values, what they are, mean, and how they can be fairly and reasonably judged however, seem to be beyond him. My ‘dirty little’ opinion is that behaviour like that Mitchell apparently has exhibited at some time in his life, would have had people like him calling for the perpetrator to be expelled. He doesn’t want arseholes coming into New Zealand. We have our our own to deal with thanks very much. Mitchell of course might be a victim in that there was no possibility of his announcement last week being the basis for a lengthy, deep discussion so we could assess notions and wow us with his vision and intellect. That might have put the revelations today into a different light. As it is, the light suggests a pillock. Full background here. All you need to know. Apparently. Police are looking for a “dangerous” Mongrel Mob member who is evading arrest. A warrant has been issued for 33-year-old Harley Collier for breaching his parole conditions. Police said Collier was actively avoiding police and had connections in south Auckland and Hastings. 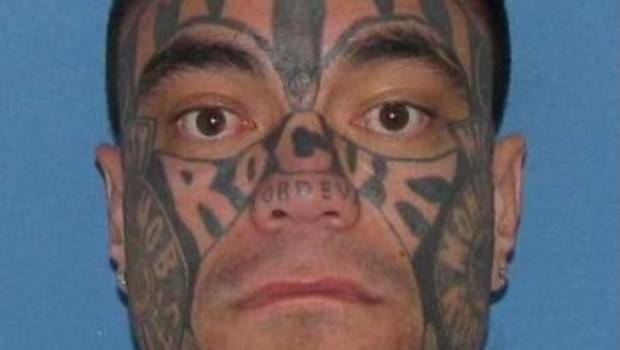 Collier has multiple distinct Mongrel Mob tattoos on his face.A large tattoo “MMM” runs along his forehead, with the word “ROGUE” running from cheek to cheek, and “FORDEVA” on his nose. He also has Mongrel Mob insignia on both cheeks. “He is considered dangerous and should not be approached, he is aware he has a warrant and is actively avoiding police,” a police statement said. Members of the public are asked to call 111 immediately if they see Collier or know his whereabouts. Anyone with further information is asked to call Sergeant Todd McDonald at Manurewa police on 09 261 1300. Alternatively, call Crimestoppers anonymously on 0800 555 111. Breaching Parole. He one of those who ticked all the boxes to suggest he was rehabilitated?